This was such a pleasant surprise! 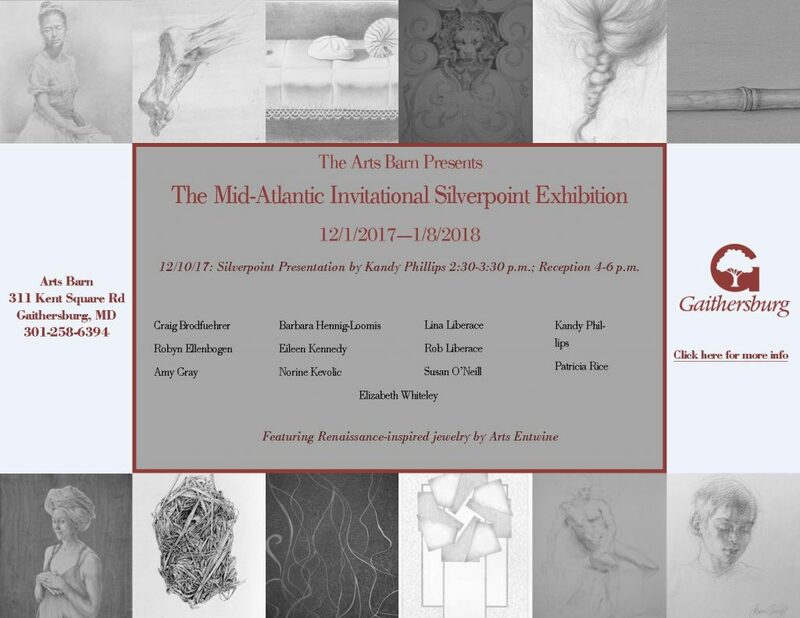 It is uncommon to hear of an art exhibition that is focused on the Renaissance Era fine-line drawing medium of Silverpoint, let alone be asked to participate. The gallery card shown here lists the 12 contemporary artists whose works are currently featured at The Arts Barn in Gaithersburg, Maryland. The show is running until closing hours on Sunday, January 7, 2018. Silverpoint requires patience of an artist, as tones are created by the gradual build-up and layering of lines with a wire of silver. Over time, the lines will acquire the warm sepia patina that is characteristic of tarnished silver. 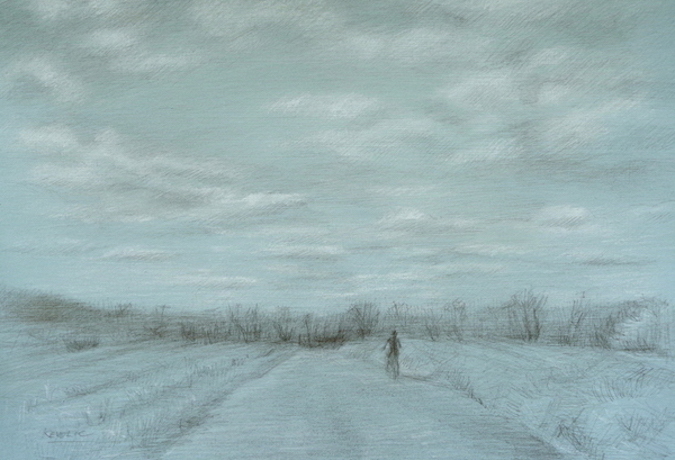 I’ve enjoyed being a silverpoint artist since the mid-1980s. It’s a meditative medium for quiet explorations. 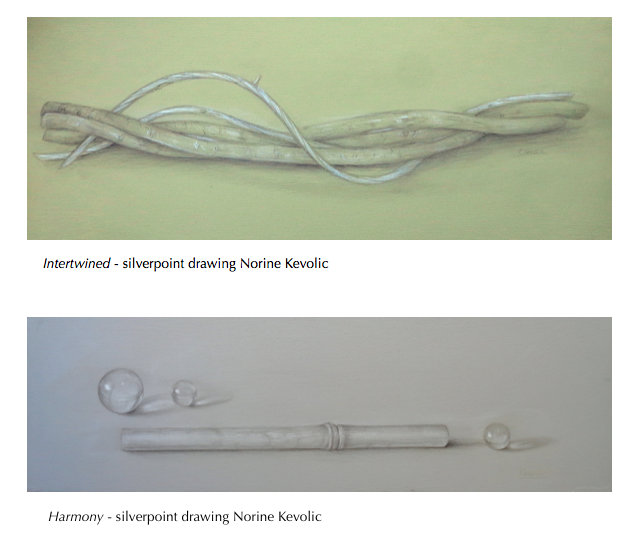 Below are three drawings that I have in this show.